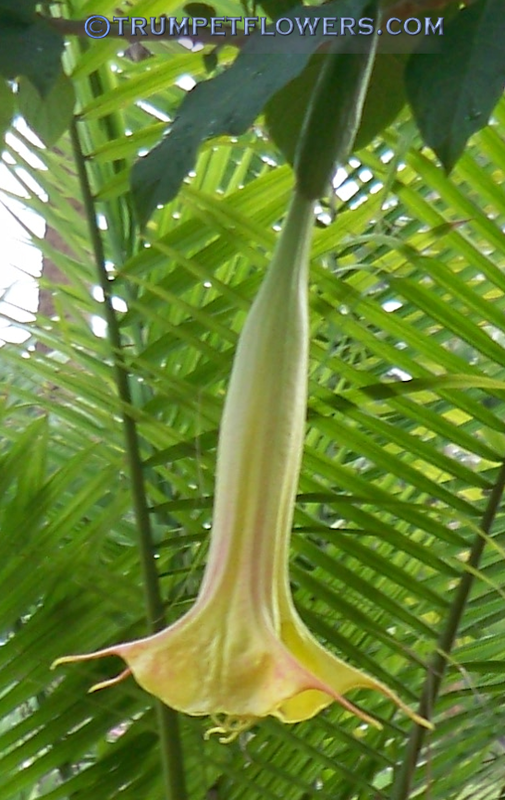 All brugmansia flowers, on all cultivars; change color as the new blooms age. Since the blooms of a particular flush can appear in stages of opening over a week&apos;s time, you could potentially have different colored blooms, all at the same time; on the same plant. That is considered normal for brugmansia. In this set of pictures I will use a bloom of Daydreams as an example. 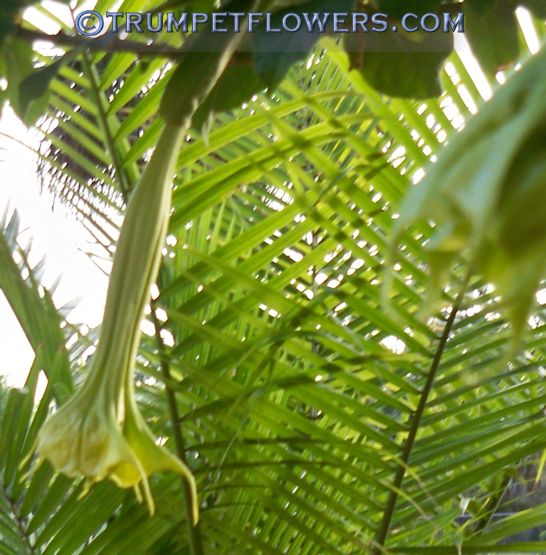 (Above) Brugmansia Cultivar Day Dreams on Day One of Flower beginning to open. Note how it is bright lime yellow? All brugmansia I have ever met color up identical to this, on first day anyway. Temps were 72 overnight, and today&apos;s high is forecast to be 84°. 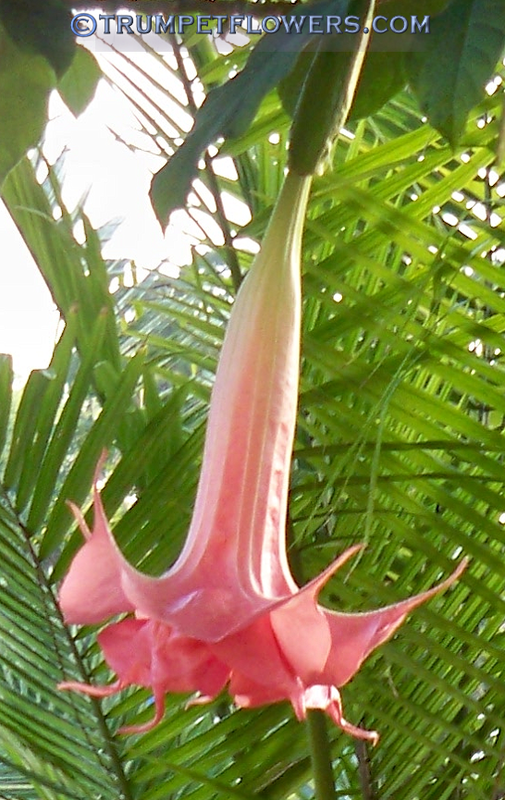 This is important, because brugmansia blooms change finished color depending upon temperatures they are exposed to. (Above) Day Two of flower color. It has been cool in the evenings, and up to 84 in the day. (Above) Day Three, early morning. Temperature was 70° when shot was taken. (Above) And finally, day 4. Overnight, Day Dreams brugmansia flower has colored up perfectly. At sunrise it was 68°. Photo was taken at 70°. (Above) Here is Dorthea in 2012, displaying different ages of blooms, hence different colors. They will all age to pink. 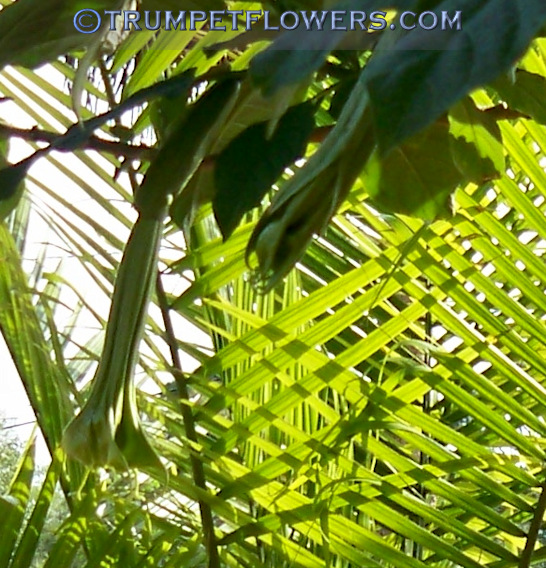 This entry was posted on April 13th, 2013 and is filed under Brugmansia Gallery.